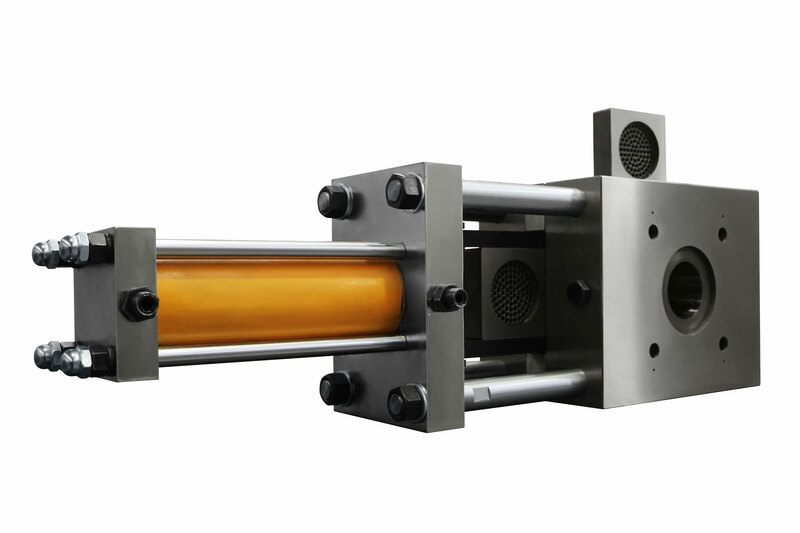 Screen Changer Applications are wide, such as PET sheet production, fine filtration, and so on. 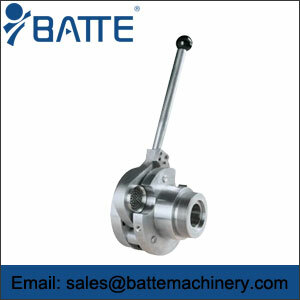 The applications are depend on the type of these screen changers, continuous screen changer, discontinuous screen changer, etc. 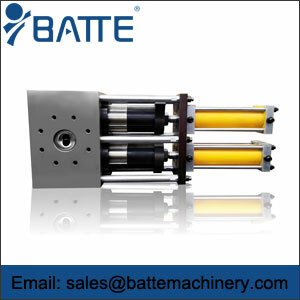 Batte Filtration Systems offers the right screen changer for each type application. The CSC series offers a continuous process, meeting the strict quality requirements in melt filtration. 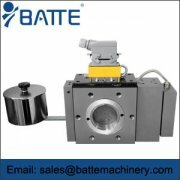 The discontinuous screen changer type DSC by BATTE Filtration Systems is here combined with an extrex gear pump by BATTE Pump Systems for both coarse and fine filtration. This setup is used for the production of PET sheet. The application specific screen changers can also be applied for special polymers or new process requirements. The discontinuous screen changers are simple and robust. 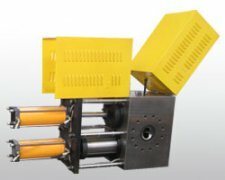 These are very suitable for applications where a short interruption in the melt flow is allowed. Here a thermorex booster pump by BATTE Pump Systems is combined with a discontinuous screen changer type FSC van BATTE Filtration Systems. This is a frequently applied combination for compounding and pelleizing thermoplastics. Very often an underwater pelletizing system type Sphero by Automatik Plastics Machinery is installed. 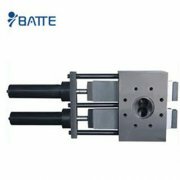 All details of these Screen Changer Applications can help you know more about Batte and our products.